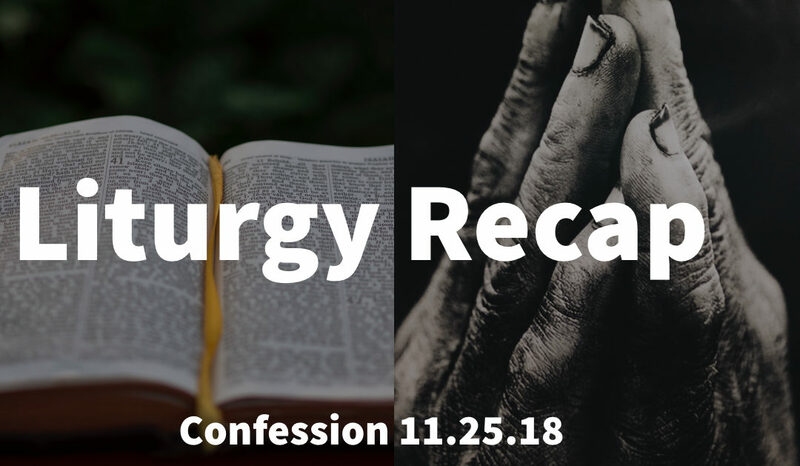 This Sunday we chose a confession liturgy to go along with the song “I Surrender”. Confession is an important part of corporate worship because we are stating our need for a Savior. It helps us have a humble posture as we worship and prepare to receive the Word. Our reading is below along with the songs that we sang on Sunday. When we gather to praise God, we remember that we are people who have preferred our wills to his. Recognizing that the old is gone and we are made new in Christ, let us confess our sin before God and one another. to grow more and more in your likeness and image; through Jesus Christ, the light of the world. Amen.